FERN M. KUESTER, age 92, of Greenwood, WI, passed away at Clark County Rehab & Living Center, in Owen, WI, on Wednesday, March 27, 2019. There will be no services held. Fern Mabel Catlin was born on May 23, 1926 in the Town of Beaver, rural Loyal, WI, to Claude and Sara (Goehring) Catlin. She was raised on the family farm and received her education in the Loyal area, graduating from Loyal High School in 1944. After completing high school, Fern attended St. Joseph's School of Nursing, in Marshfield, WI, where she earned her nursing degree. She worked as a nurse for a short time before her marriage to Leon William Kuester on July 6, 1946 in Minnesota. They resided in Greenwood where Fern was a homemaker and raised their children. She resided in Greenwood until February 2019. For many years, Fern did volunteer work, gave piano lessons, and enjoyed traveling and camping. 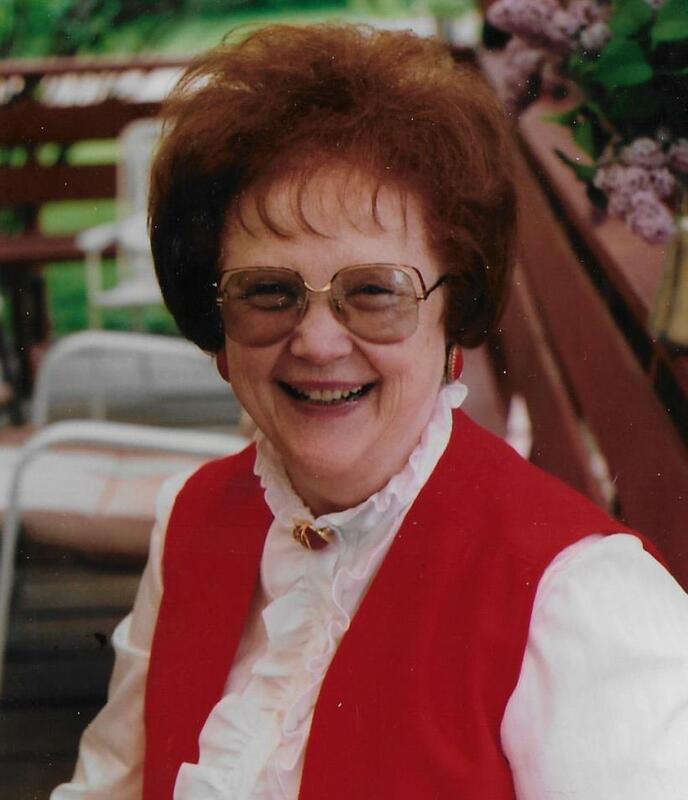 She was a member of Grace United Methodist Church, where she played piano for many years. Fern is survived by her children: Delores (Brian) Alger of Greenwood, and William (Sabrina) Kuester of Greenwood; 5 grandchildren: Nicole and Michael Alger, and Hayley, Christian and Liam Kuester; one sister: Elaine Blaettler of Spring Valley, CA; several nieces, nephews, other relatives and friends. She was preceded in death by her parents; her husband, Leon, on June 16, 2014; and one brother: William Catlin.